The drug war in Mexico has claimed countless victims and created a population of orphaned children who must fend for themselves and survive in a world created by violence. Showing at the 2018 Boston Underground Film Festival, Tigers Are Not Afraid is a uniquely haunting and beautiful look at this very real and very sad reality. Writer/director Issa López begins her story with a fairy tale. Estrella (Paola Laura) tells us about a prince who wanted to be a tiger. Tigers are strong and powerful and unafraid of the dangers of the world. Estrella explains that we are all princes, but we forget this when the things from the outside come to get us. In the same city, a group of young boys, led by the small but fierce Tucsi, love to tell the story of a tiger who escapes his cage and pays vengeance on evil doers. The idea that a tiger fears no one and overcomes his enemies is a driving force in the imaginations of these children and imagination is one of the very few things they have left in this world. When Estrella realizes that her mother has gone missing, her fear and hunger drive her to beg for shelter with Tucsi’s gang. Soon, this unlikely group of friends will find themselves involved in a complex cat and mouse game with the very gang members who have caused these young children to be orphans. Forced to find courage and cleverness well beyond their years, Estrella, Tucsi and the rest of the boys may be forced to live in poverty and constant fear, but their childlike wonder and imaginations are still very vibrant and alive. López blends fantasy imagery with the bleak backdrop of the slums with just the right amount of whimsy. A tiger that Tucsi spray paints onto a wall magically comes alive, while dragons, stuffed animals, lively blood trails and plastic wrapped corpses all act as grim spirit guides of sorts for the children. To see kids play limbo with crime scene tape or dance a Singing in the Rain routine with a broken umbrella under a dilapidated roof is all so heartbreaking and beautiful at the same time. Estrella is a very strong young lady who seems to have a special connection to another plane which she finds terrifying, but also helpful. In fact, it is visions of her dead mother that help lead her through this mess of a world she finds herself in. With three wishes given to her by her teacher, Estrella must learn that wishing for things does not always have the result that you hoped for and, a lot of times, you can only depend upon yourself. 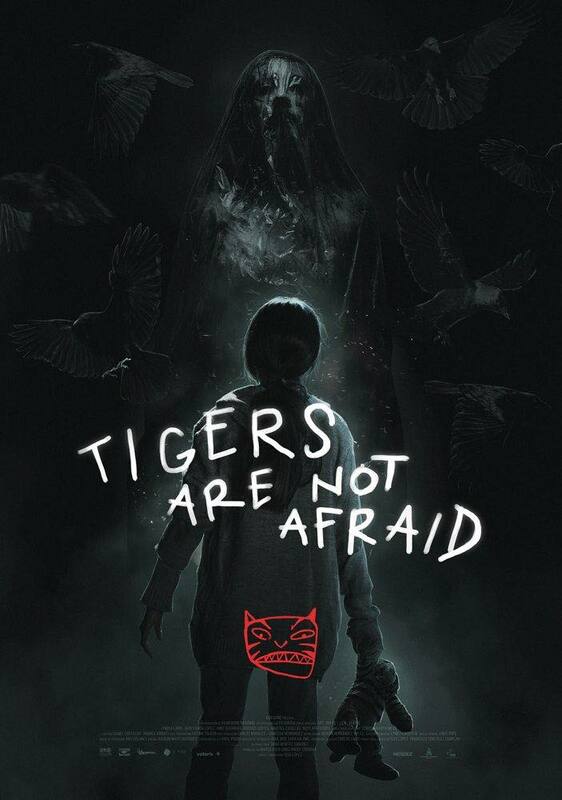 Tigers Are Not Afraid often finds itself being compared to The Devil’s Backbone or Pan’s Labyrinth and with good reason. Guillermo del Toro himself named it one of his favorite films of 2017 and it would be very easy to believe that all three of these movies are companion pieces of sorts. Ultimately, the film wouldn’t work as well as it does if it wasn’t for the amazing performances of the children. López captured lighting in a bottle by finding this group of very young and very talented actors who expertly tackle extremely adult scenarios. 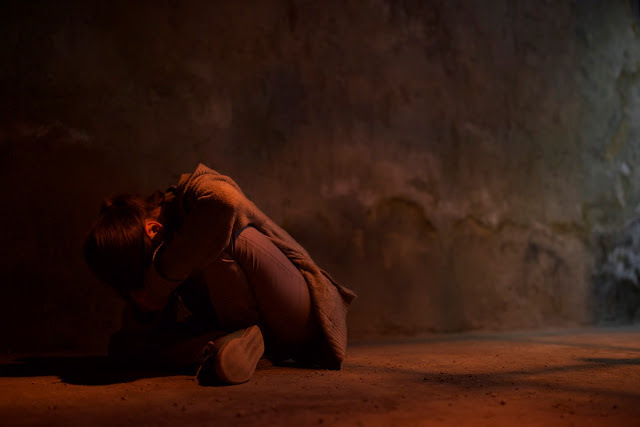 Tigers Are Not Afraid is a perfect marriage of reality and fantasy that forces us to look at the near invisible victims of the Mexican drug wars and, quite simply, it is not to be missed.